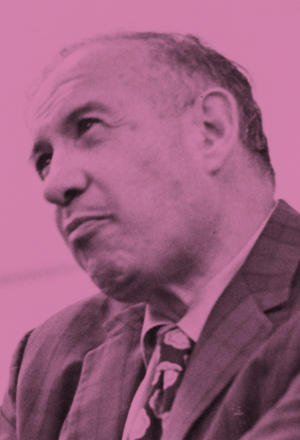 Every organization, no matter which sector it’s in, is built on what Peter Drucker called a “Theory of the Business.” To forge its theory, the organization must rely upon assumptions about the environment in which it operates, its specific purpose in the world and the core competencies it needs to accomplish its mission. The important thing for leaders to recognize is that no theory lasts forever. “It is a hypothesis,” Drucker wrote. “And it is a hypothesis about things that are in constant flux—society, markets, customers, technology.” With that in mind, we’ve taken a look at an arts fund in Ohio, a cookware manufacturer in Tennessee and a town in central Washington, each of which challenged its core assumptions and successfully changed its theory. As we bring this article to you, here are a few of the things that we’ve assumed: A good number of people will actually read it. The most effective means for delivering it is online. And leaders will find learning about the experiences of other organizations to be informative and inspiring. We should add that we’re pretty confident that all of these assumptions are valid—well, for now anyway. Corporations, nonprofits and government agencies all have such a theory—whether they’re conscious of it or not. The trouble is, it can be fiendishly hard to change one’s theory, even when change is warranted. The theory of the business has to be tested constantly. It is not graven on tablets of stone. It is a hypothesis. Some organizations change their theories of the business in a timely manner, but most have to be jolted out of an existing theory into another one. Some adapt; many don’t. What follows is a look at three organizations—an arts fund in Ohio, a cookware manufacturer in Tennessee and a town in central Washington—which came to take a hard look at their core assumptions, and then reinvent themselves accordingly. The Drucker Institute’s Phalana Tiller visits in Boston with consultant and author Jim Champy to learn about some of the most common pitfalls that organizations face when making assumptions. Cincinnati-based ArtsWave, formerly known as the Fine Arts Fund, set out a new Theory of the Business that is focused on civic health, not just art for art’s sake. In 2010, Mary McCullough-Hudson knew that she was messing with something fragile and valuable, and she did not relish the possibility of a bitter fight over what she was trying to do. The Fine Arts Fund had been a bedrock of Cincinnati, supporting most of the major cultural entities in the city, since 1949. It was an active and financially sound organization. Yet here was McCullough-Hudson, the president and CEO, planning to overhaul the fund’s mission and change its name. Wasn’t she violating the tenet of not fixing what’s not broken? When the Cincinnati Institute of Fine Arts created the fund shortly after World War II, it was a true innovation. Civic leaders in Cincinnati and Louisville (about 100 miles away, across the Kentucky border) had come up with the idea of establishing a central clearinghouse for philanthropic donations. Instead of contributing money to multiple arts entities in arbitrary proportions, donors could direct their gifts to a single entity that would then distribute the cash among local arts organizations in amounts that, based on careful study, it deemed most fitting. After Cincinnati and Louisville each launched a “united arts fund,” often called a UAF, dozens of U.S. cities imitated their example. Cincinnati’s Fine Arts Fund had long been one of the largest UAFs in the country. Eight organizations knew that, year in and year out, they could rely upon it for a significant part of their budget: the Cincinnati Art Museum, Cincinnati Ballet, Cincinnati Opera, Cincinnati Symphony Orchestra, Contemporary Arts Center, May Festival, Playhouse in the Park and the Taft Museum. The fund’s annual campaigns were reliably successful. But McCullough-Hudson was uneasy. She was fielding more and more inquiries from people who wondered why the Fine Arts Fund didn’t devote more of its money to smaller, less established organizations offering an alternative to traditional art forms. “We had this asset base, but were we doing enough to leverage it for the entire community?” McCullough-Hudson says. She also saw that large corporations were increasingly channeling their philanthropy through social responsibility departments, which placed an emphasis on measured outcomes and returns on investment—the sort of metrics that nonprofits in other sectors were far better positioned to provide. In 2008, hoping to understand both its funders and non-funders better, the Fine Arts Fund embarked on some research, comparing its own contributor list against the lists of patrons of Cincinnati’s largest arts organizations. As it turned out, nearly 80% of the fund’s donors had zero engagement with these other organizations. They didn’t go to the symphony. They didn’t join the museum. McCullough-Hudson and her colleagues were stunned. Actually, those giving to the Fine Arts Fund didn’t think so. Now McCullough-Hudson and her team had a mystery on their hands: If more than three-quarters of the fund’s donors lacked a real passion for the arts, why were they giving anything at all? In 2009, to help answer this question, the organization hired a consultancy called the Topos Partnership. What it figured out was that local residents equated a vibrant arts scene with civic health. And civic health mattered to everyone, including those who never went to a concert or spent a Sunday afternoon gazing at a gallery of paintings. The Fine Arts Fund suddenly realized that it was focused on the wrong things. It needed to change. Over time, it switched its mission from “strengthening the arts for a greater Cincinnati through united fundraising, support services and the responsible investment and allocation of resources” to “advancing the vitality and vibrancy of our communities by mobilizing the creative energy of our region.” Its emphasis was now on civic well-being, not art for art’s sake. As McCullough-Hudson saw it, there was another issue that also had to be considered: If the Fine Arts Fund stayed focused on its eight core grantees, another funder might arise to support smaller-scale, newer and more diverse arts efforts in the city. “We were thinking if we don’t take a leadership role in this, someone else will,” she says. And then there was the organization’s name. Casual conversation had already made McCullough-Hudson and her colleagues think it was probably a liability. The Topos Partnership’s research confirmed it. “Every word in the name Fine Arts Fund was off-putting to people,” Kintner says. The term “fine arts” was snobbish, and the term “fund” suggested a pre-existing pile of cash for philanthropy, not an entity in need of more resources. When McCullough-Hudson first told her board and big donors what she was contemplating—the new mission, the wider focus—there was lots of pushback.  You’re reinventing an organization that’s doing fine. The Fine Arts Fund was founded to support the fine arts, not every puppet theater and marching band in town. You’ll kill the opera. This is a recipe for mission creep. You’ll alienate many more people than you win over. You can say goodbye to me if you do this. We knew we had a brand problem, but, man, it came out in spades. Executives at Lodge Manufacturing have been willing to question assumptions—their own, as well as the conventional wisdom of the industry—to keep the company a leader in the cast-iron cookware market. McCullough-Hudson was convinced, however, that while the Fine Arts Fund was in fine shape today, it ran a high risk of slipping into irrelevance tomorrow. She assured skeptics that any reduction in support to the fund’s current major recipients would be gradual. She stressed all the negative feedback that the researchers had gotten over the name Fine Arts Fund. She reminded everyone of the changing demographics and tastes of the city. Finally, she underlined that she had worked with the organization for nearly 30 years and loved it as much as they did. Eventually, she won over her board. In September 2010, the fund unveiled its new name: ArtsWave, which was meant to evoke the ripple effect that the arts can have on a city. McCullough was terrified at how people would respond. “You’ve done the research,” her husband assured her. As feared, many in Cincinnati reacted negatively, some because they hated the change, others because they felt they’d been kept out of the loop. But there was no catastrophe. Overall contributions to the fund remained steady, even in the lean years of 2010 and 2011, and they’ve increased annually ever since. In 2015, ArtsWave raised more than $12 million, maintaining its place as the largest UAF in the country. Rather than dole out its funding in large sums to the eight organizations, plus a couple dozen others, ArtsWave now makes grants of all sizes to more than 100 entities across the region, from an improvisation theater to a wood turners’ guild. It also helps its grantees learn to measure and convey how their programs are producing all kinds of positive civic outcomes—bridging cultural divides, enlivening neighborhoods and fueling creativity and learning. “We remind them,” says Tara Townsend, who was brought into the fund a few years ago and is now chief impact strategy officer, “that ArtsWave is trying to be the voice for what the community values about the arts”—which isn’t simply the art. Few things are more prosaic than the cast-iron skillet. What you see is what you get. Relatively speaking, it’s also simple to produce: Melt iron, pour the molten mixture into sand molds, remove, cool and rinse. You’re done. That’s one reason China produces lots of cast-iron skillets for the U.S. market. But the connoisseur of traditional cast-iron cookware will probably choose the one brand that is still made in the United States: Lodge. Based in South Pittsburg, Tenn., Lodge Manufacturing has managed to survive as every other U.S. competitor has gone out of business, keeping nearly 300 people, or close to a tenth of South Pittsburg, employed. One reason is that Lodge’s leaders have been willing to constantly set aside their assumptions. Another is that they’ve been willing to defy the assumptions of others. Lodge Manufacturing was founded in 1896, a time when most kitchens could be counted on to have cast-iron cookware. Southern cooking in particular relied (and to a considerable extent still relies) upon it. Cast iron is what gets cornbread crisp and what offers a steady heat for deep-frying chicken. It also provides some extra iron in the diet. While the company had one problem that never quite goes away for producers of cast iron—the cookware, if taken care of, lasts forever and therefore needs no replacing—business was fairly straightforward. Southerners needed pots and skillets, and Lodge provided them. Over time, however, things changed. In the 1960s and ’70s, stainless steel and Teflon-coated aluminum began to eat into sales. Both were thin, light and dishwasher-safe. Cast-iron cookware gradually but persistently fell out of favor, shrinking to a small fraction of the market. By the 1980s, there were only three makers of iron cookware left in America: Wagner Ware, Birmingham Stove & Range and Lodge. The prevailing assumptions were clear and logical: Cast iron was a niche product. What’s more, if it had any kind of future, the production base would surely be overseas, where labor costs were cheaper. The Lodge family, including then-CEO Bob Kellermann, a great-grandson of company founder Joseph Lodge, could see the new realities as well as anyone. But they rejected the assumptions that typically went with them. In fact, they laid out a Theory of the Business uniquely their own: that cast-iron cookware had special properties for which the competition had not found a substitute; that making those properties better known to people would increase the company’s sales; and that steady improvements in technology and quality would make Lodge so superior to its rivals that customers would pay a premium for it. While others tried to squeeze the last bit of profit out of their old U.S. production lines, Lodge put in new, state-of-the-art equipment. “Our family is always a believer in reinvestment,” says Kellermann, who recently became CEO emeritus. For instance, in 1992—when offshoring was the norm, and China was already showing strength—Lodge replaced its coal-fired cupola furnaces with a superior melting system that used electro-magnetic induction. It also capitalized on unexpected successes. In the 1980s, celebrity chef Paul Prudhomme of Louisiana prominently used cast iron. That boosted Lodge’s sales, and it led the company to collaborate with Prudhomme on a line of custom skillets. Lodge benefited, as well, when chef Emeril Lagasse made a point of showcasing cast-iron cookware for various dishes that he was introducing on his TV show in the 1990s. Lodge also responded to consumers’ ever-shifting buying habits. In many Southern homes, people were long familiar with a pre-cooking process known as “seasoning”—coating cast-iron pans with oil and baking them in the oven in order to keep food from sticking and the bottom from rusting. But market analyses showed that many younger consumers, especially those who didn’t live in the South, weren’t comfortable with seasoning. Sales immediately took off. Then in 2003, Good Housekeeping gave the Lodge Logic a “Good Buy Award.” For Kellermann, the only question now was how quickly the company could convert all of its production lines into ones that could handle pre-seasoning. The answer turned out to be 2007. Lodge has surely been helped by some good luck along the way. Millennials—a foodie generation if there ever was one—have taken a particular interest in iron cookware, attracted in part by its affordability. Americans of all sorts, sensitive to how many U.S. factories have closed their doors over the past 40 years, have started to place a higher value on goods produced domestically. All told, cast-iron products have increased their share of the U.S. cookware market from 3% in the 1990s to more than 10% today. To be sure, tastes may change again. Some new super-metal could emerge to render the virtues of iron obsolete. The economics of domestic production could finally become prohibitive after all. (Even Lodge is making a line of enameled iron, in the Le Creuset style, in China.) A study could come out showing iron to be the new lead, or Teflon to be the new kale. A group of activists in Leavenworth, Wash.—operating under the banner Leavenworth Improvement for Everyone, or LIFE—changed the town’s Theory of the Business by developing German-themed tourism instead of wooing outside industry to invest in the place. It is not unusual to find sections of American cities, or even whole locales, that showcase their ethnic roots. Chinatowns are ubiquitous. Solvang, Calif., with its windmills and Hans Christian Andersen statue, has prided itself on providing a taste of Copenhagen on the West Coast since Danes settled there in the early 20th century. Sure, its main thoroughfare looks like a scene out of Bavaria, with every structure sporting a tall pitched roof, exposed timber, wooden balconies and stucco walls with murals. Restaurants offer German food, and stores sell German stuff. Many of the business owners speak German. But 60 years ago, there was nary a German to be found in Leavenworth. The place was about as Bavarian as roller derby. What happened was that the city’s populace, and then its government officials, changed their Theory of the Business—and, in contrast to the case of Lodge Manufacturing, there was nothing subtle about it. Nestled in a valley on the Wenatchee River, about 120 miles east of Seattle, Leavenworth had a good run for its first decades of life. It was a hub for the Great Northern Railway, and it also had a thriving timber industry. By the 1920s, the town had a population of several thousand people. But then the railroad changed its route, and the main mill closed—and that was before the Great Depression hit. Leavenworth began a long slide in the wrong direction. Activists—operating under the banner Leavenworth Improvement for Everyone, or LIFE—endeavored to come up with a plan to turn things around. Local leaders, meanwhile, tried to size up what it would take to woo investors to town. Water and power were cheap, and so the hope was that some entrepreneur or company might be tempted to relocate to Leavenworth. Only in retrospect did it become clear that the question of how to attract business rested on an unexamined assumption: that the key to making Leavenworth flourish lay in outside investment. It took an eccentric World War II veteran and his partner to change the conversation. Ted Price and Bob Rodgers owned the Squirrel Tree Chalet, a bustling Alpine-themed restaurant and motel about a dozen miles outside of town that they’d launched a few years earlier. Rodgers had come up with the Alpine motif because of time spent in Bavaria in the 1940s during the war. The mountains surrounding Leavenworth offered a similar landscape. Price pressed for LIFE to form a tourism committee. When it came time for recommendations, his fellow committee members suggested stocking nearby bodies of water with more fish, improving trails and offering more scenic overlooks on the highway. Price was fine with all that, but he had another idea: The center of town should try to turn itself into a mini Bavaria. What worked for the Squirrel Tree, he thought, might work for all of Leavenworth. Price’s vision did not meet with much enthusiasm. People thought he was unrealistic and quite possibly out of his mind. One of my favorite stores was the five-and-dime. They couldn’t make it. That was a huge disappointment. No one had money to spare, and the costs of the makeover were much higher than people had expected. The businesses employed a designer named Heinz Ulbricht, who charged them very little for his services but set high standards for fidelity to Bavarian aesthetics; few, if any, shortcuts were allowed. Still, the business owners wouldn’t give up, taking out loans to complete the job. They joked that either things would work out or the bank would become the owner of some very odd-looking buildings. Because Front Street was small, even six Bavarianized storefronts dramatically changed the look of the town. Merchants began to stock German goods. The Hotel Edelweiss (remodeled from the Hotel Chikamin) offered German-style lodging, and restaurants started making German food. Bunches of flowers were hung from the wooden balconies. Tourists started to arrive—and return and return. Seattleites especially appreciated having a Bavarian getaway just a few hours from the city. Other businesses with a German twist soon opened shop in Leavenworth, and by the early 1970s the town’s transformation was almost complete. In 1974, Leavenworth’s City Council took another important step by enacting strict ordinances to codify the Bavarian design. From then on, any business hoping to set up in town, even a Safeway or McDonald’s, had to comply with stringent specifications. The image that Leavenworth created for itself has worked well for half a century. But every Theory of the Business must change. If the assumption was once that more tourism was always better, the throngs of tourists clogging downtown on weekends are now challenging that notion. Traffic can be nightmarish. And housing has become so expensive that many young people who grew up in town cannot afford to stay. Social cohesion of the sort that Leavenworth long prided itself on is harder to preserve when an increasing number of residents are part-timers. Sustainability and quality-of-life issues now occupy city leaders. Questions like “For whose sake does this city exist?” are top of mind. Assess whether your Theory of the Business is well known and understood throughout the whole organization—and, if it’s not, explore how you can rectify that. 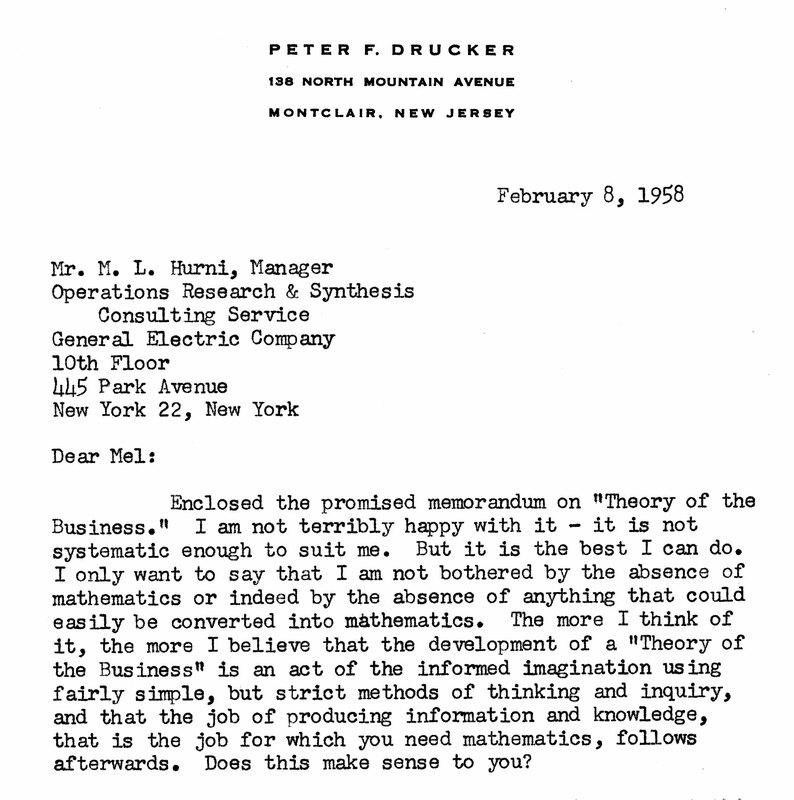 What’s the connection between Drucker’s Theory of the Business and a business model? Andrea Ovans, a senior editor at HBR, offers a description of the relationship between the two and a useful overview of the thinking about business models over the past couple of decades. A good Theory of the Business is the result of an organization closely examining and reexamining its environment, mission and core competencies. By that criterion, argues author Melissa A. Berman, the CEO of Rockefeller Philanthropy Advisors, the foundation world is sadly lacking in such theories. “Foundations as institutions are in flux,” Berman writes. “Yet the implications for their operations, organizational capacity and efficiency remain largely unexplored.” It’s time, she adds, to change that. 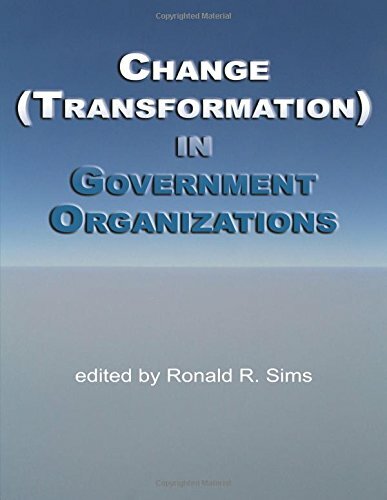 Those in government “must constantly adapt to changing missions, new requirements or environmental forces, stay competitive with the latest innovations and technology, and identify ways to provide quality services to citizens whose expectations continue to evolve,” writes Sims, a management professor at William & Mary. In this guide, the authors present a framework for challenging the status quo at an organization. 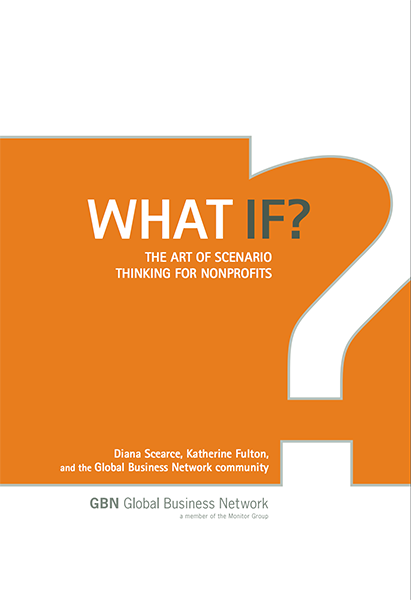 “By embracing diverse perspectives and a range of possible futures, scenario thinking can push organizations to take responsible and bold actions that overcome biases and challenge assumptions,” they write. The authors return to Peter Drucker’s Theory of the Business and stress its “value as a distinct business and management concept,” arguing that it deserves more research. The article also gives a useful overview of how the notion of assumptions, crucial to the Theory of the Business, has been treated in management literature over the years.